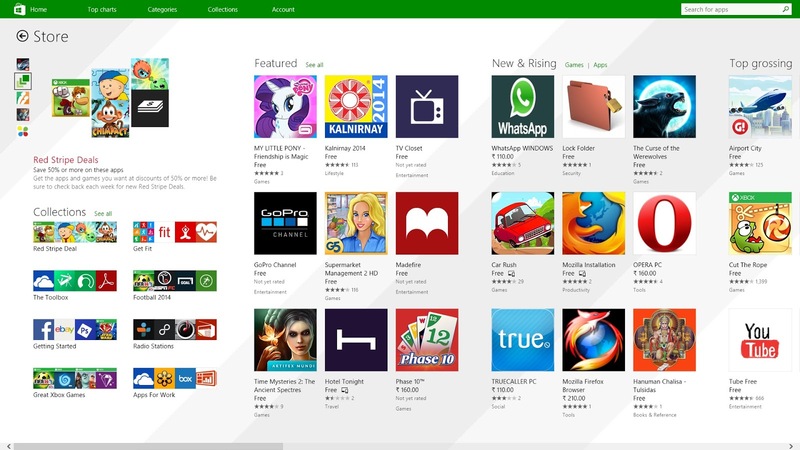 Fixing Windows Store in Windows 8.1 ! 2) Run CMD as administrator to re-register the Store " App: powershell -ExecutionPolicy Unrestricted Add-AppxPackage -DisableDevelopmentMode -Register $Env:SystemRoot\WinStore\AppxManifest.XML" This command worked fine but still I was not able to repair the Store. 3) In run command, type " wsreset.exe ". This is supposed to reset Store. When I ran this, the Store would open showing the loading screen with the dots making a circle for a long time. Even after an hour it was doing the same and so I decided to move on to the next step. 4) Changing from Microsoft account to a Local account also failed. 5) " sfc /scannow " which should be used in Command Prompt (admin) is supposed to repair all the system files.